Label owner & Asia’s heavy weight, John Paul “Junoジュ” Lee has adored John “Jelleybean” Benitez religiously for over 3 decades. With only 2 cassette decks during his first attempt at emulating his idol, he created mayhem then and still does so now. At 15, he was promoting and hosting weekend T-dance (Teen Dance) events with his friends which fast became talk of the town. That year was 1985. Fast forward to 1997, after being scouted through his fledgling music career in the region, he became one of the freshest recruits with Malaysia’s first formatted top 40 radio station, Hitz FM. Hosting daily night shows, he was also given free reign to host the weekend dance radio show, Hot & Loud on Hitz FM. Whilst other stations were playing catchy boyband and Titanic remixes, his eclectic selection of electronic tracks were from the likes of General Levy, Ronnie Size, Orb, Sneaker Pimps, William Orbit, Josh Wink, and Daft Punk. Not content with ruling the airwaves, he ruled the dance floor with his legendary “Compression Session” nights at Kuala Lumpur’s famed Emporium, during the height of KL’s dance music scene. From one South East Asian capital to another, the sound of jeepneys beckoned in 2004, as John became resident DJ for the Philippines’ foremost dance music promoter, Manila-based Bigfish International. This led to his involvement with juggernauts Ministry of Sound, Gatecrasher, Cream and Exception Music Festival as well as renowned greats Armin Van Burren, Sasha and Sander Van Dorn, to name a few. Paul Van Dyk was once quoted as saying, “You’d better warm up my gig whenever I’m in Manila. Nobody else please, OK.” Thus cementing his presence in the scene. With a solid following, John and Bigfish International launched Bigfish Radio in 2008. The dance radio show was an immediate hit throughout the Philippines. John’s signature shows, “The Compression Session,” and “Anthem,” soon became the most listened to dance music radio programme in the country, with an estimated 1.3 million tuning in to his weekly selection. Living the life of a travelling DJ did not stop John from being his creative self. 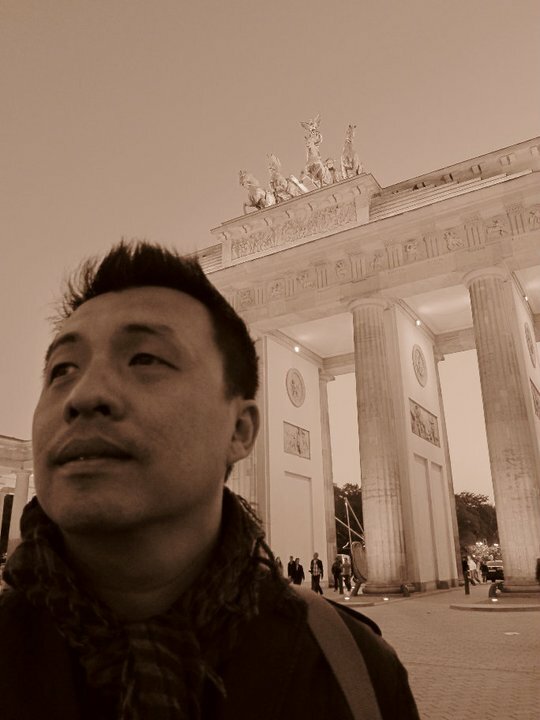 As a producer/remixer for Warner Music Asia and EMI since 1997, this opened doors for him to hone his craft. He was integral in a myriad of projects working with artists including Hong Kong’s elite: Sammi Cheng, Aaron Kwok; Taiwan’s A-mei; UAE Pacha’s Pierre Ravan, Australia’s Bardot, and Malaysia’s KRU among many. John currently resides in London in pursuit of new territory.